Every year, the Japanese transportation ministry hands out the Japan Toilet Award to encourage highway service plaza operators to provide the most pleasant defecation experience, reports The New York Times. The goal? To make the potty dance a completely foreign concept at Japanese rest stops. 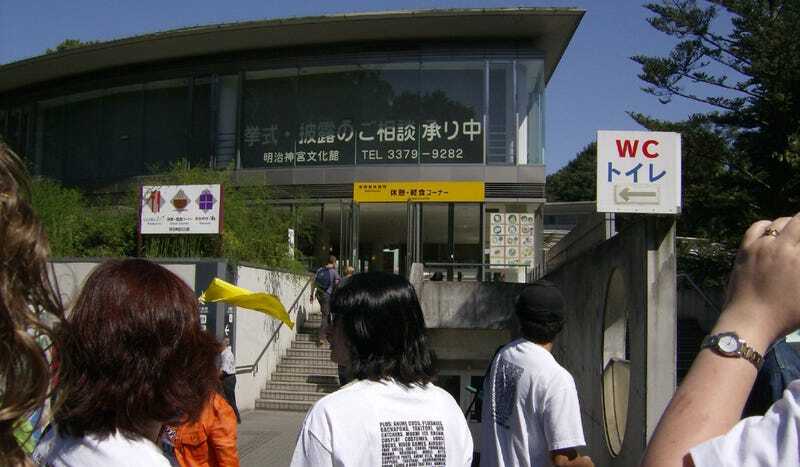 To keep things moving at Neopasa Shimizu, where 25,000 people may stop on a busy weekend, there are 72 stalls in the ladies’ room, compared with 14 stalls and 32 urinals in the men’s — a ratio meant to combat the longer waits that women often encounter in public facilities. The system works. Nexco Central Nippon Expressway, which operates Neopasa Shimizu and over 200 other rest stops, assures visitors that they will never have to wait more than two minutes to get to a toilet. After holding it in a car on the highway, the last thing you want to do is wait any longer than that to release the by-products of hastily inhaled fast food and recirculated car air.